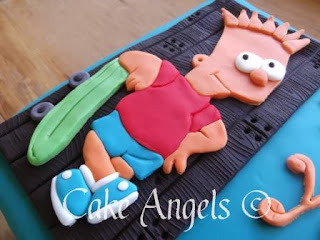 Being a Bart fan makes for an easy choice for this person's Birthday Cake design - Bart himself. 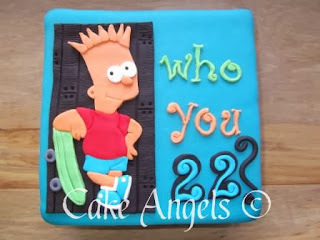 This popular cartoon dude rocked into the Party and made a statement with his typical Bart style. 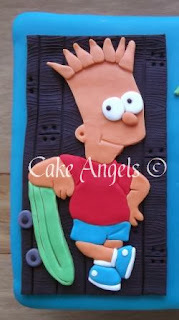 The Cake Angels think this skateboarding Bart looks really cool.